Sometimes life carries you in different directions and you don’t even realise you’ve gone down a fork in the road; the great GPS of destiny has not followed the planned route and there has been no sign to indicate you’ve passed the point of no return. Life’s Bermuda Triangle is both myth and reality. Daniel Mercier can hardly believe his eyes when President François Mitterrand sits down to eat at the table next to him as he is dining alone in a Parisian Brasserie. In his mind, he plays over the conversation he will have with family and friends at his luck, and is astounded when the President leaves his hat behind. Rather than offer it back, Daniel takes the hat as his own, and finds himself blessed with mysterious good fortune... only for him too lose the hat himself! I adored this short, uplifting novel, perhaps even more than my preceding read by Laurent, The Red Notebook. 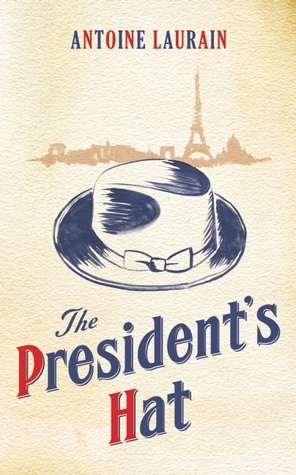 It is whimsical, comical and endearing: a journey through France in the 1980's with a wondrous sense of time and place and a perfect set of characters. This is a perfect book to cheer oneself up on a dreary day, a light and easy read which could be devoured in a single afternoon.